The German minority is the second largest of the thirteen recognized minorities in Hungary, after the Roma minority. Hungarian-Germans live scattered in over 400 towns throughout the country: the Ofner Mountain territory near the capital city, the Hungarian middle mountain territory (until the Plattensee), West Hungary, the “Schwäbische Türkei” (County of: Baranya, Tolna, Schomodei, and Batschka). The first Germans came to Hungary around 1000 after Bavarian Princess Gisela, wife of the first King Saint Stephen. A strong German city civilisation appeared in the Middle Ages in Siebenburgen (today Roumania)and the Zips (today Slovakia) or in West Hungary (Sopron/Odenburg). After the Turks were driven away, German cities reappeared (the current capital, Funfkirchen, Raab) with a blossoming German-speaking culture in the 18th and 19th centuries (theater, press, musical life). The middle class of the cities, however, was dissolved in Magyarism until the first World War. After the Turkish occupation, the House of Habsburg and the Hungarian magnates brought German farmers into the country who preserved the German language, values, and customs in closed settlements in spite of a strong policy of assimilation in the period between the wars. After the war, half of the German population was driven away, and almost all of the intelligence vanished. Only after “The Turn” could the Hungarian-Germans have a sigh of relief. They were given the right to set up self-government bodies. The Hungarian-Germans have political interest representation on the local, committee, and country levels (Landesselbstverwaltung der Ungarndeutschen LdU). They have an expanded educational system. Since 2014 they are represented through a Spokesman in the hungarian Parliament. In the Hungarian-German Villages during Christmas Season schoolgirls and schoolboys went from House to House to perform the Christmas Story. They play the roles of the angel, the shepherds, Mary and Joseph and an innkeeper. The carry a small christmas tree or the Nativity scene, which they put on the table before they start their performance. In most villages they performed the Christmas Story in the mass on Christmas Eve as well. The peak of the Carnival Season for the Hungarian-Germans were the last three days before Ash Wednesday. The fact, that these days used to be holidays, proves the importance of the Carnival Season for the German minority. On each of the last three nights, there was a dance. 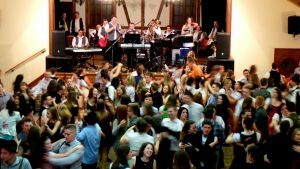 These dances went till the morning except on the last night, on which it finished at 11pm. On the night of the last day of April, many young men erect small decorated “Maibäume” above all in front of the houses of their sweethearts, but also for the village’s particularly respected people. The maypole counts as the “tree of life” as well, thereby one will also be placed on the village square. On Whitsun these maypoles will be taken down accompanied with dance and music. It was organized in the wine-growing areas on Sunday, after the end of the harvest. The youth played the main role at this festival as well. Many villages organized a pageant. 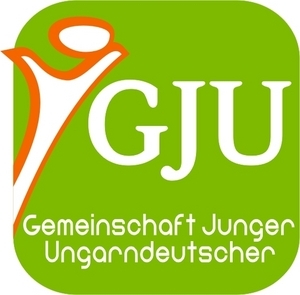 The Gemeinschaft Junger Ungarndeutscher (GJU) is a national organisation, which was founded in 1989, in Pécs. 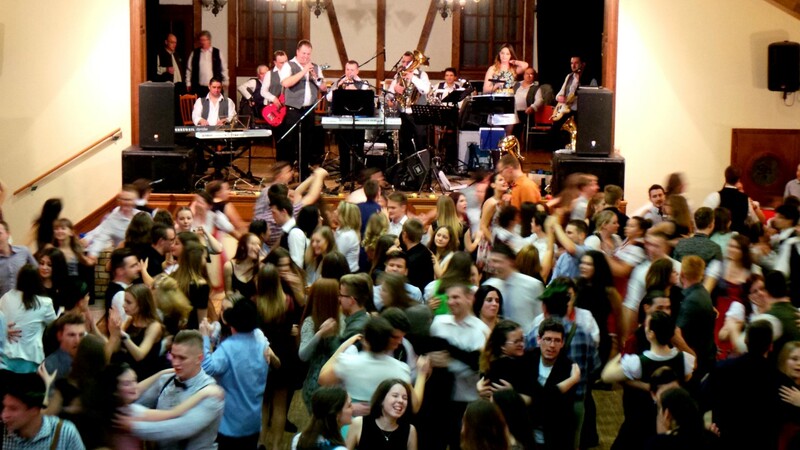 Its main objectives are preserving passing on the German language, traditions and culture in Hungary and organizing events and projects for young people. The varied programs are shaped according to the interest of the youth by Volunteers. The central element, so the membership of the German minority, appears somewise every time. The traditions, dialects, music and dances (etc.) of the Hungarian-German regions are represented on our programs and projects with the help of modern and innovative methods. 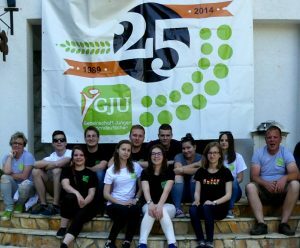 Creating and strengthening the shared identity between the Hungarian-German youth is also our matter of concern. At the same time the exchange and the networking with other youth minority organizations in Europe is very important to us. 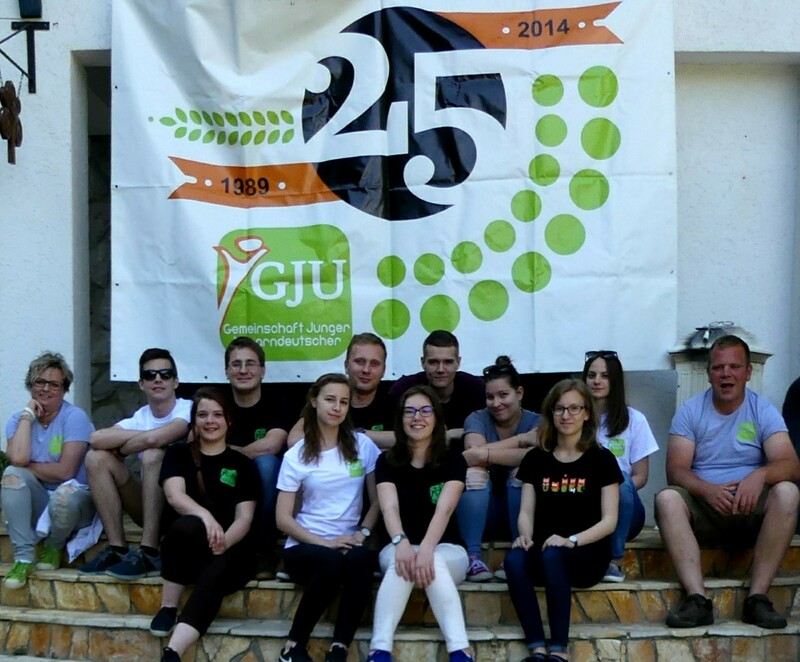 We are therefore an active member of the Youth of European Nationalities (YEN) since the Easter Seminar of 1993. We call our minibus “Nessy” after the Loch Ness Monster. We won her on an application, but we didn’t actually receive her for months. We joked about her, that she is like the Loch Ness Monster: everybody talks about it, but no one actually saw it.